The bond you share as a couple is undeniably unique; your engagement ring should reflect that bond. Purchasing an engagement ring is exciting. It represents your unique bond and the commitment made to each other as a couple. If you have began to search for a suitable ring – only to find that the designs on offer aren’t to your taste – then it may be time to consider having a piece custom made. Custom designed rings give you the freedom to create a piece of jewellery exactly as you want it – from the choice of stone to the style of setting, and even the type of precious metal used. Worn on the left ring finger, an engagement ring is a symbol of commitment between two people and generally signifies future marriage. The engagement ring is steeped in history and tradition; in 21 st century Western culture, it has become a most treasured item of jewellery. 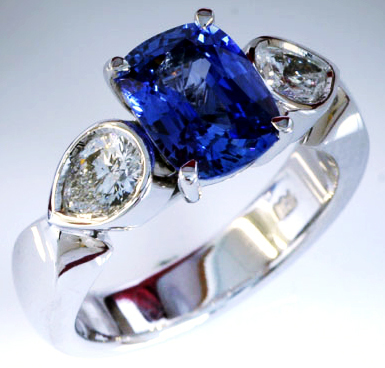 When it comes to custom engagement rings in Brisbane, Custom Jewellery Co. is your artisan of choice. We have been in the business for more than 20 years and understand just how important it is to find the perfect ring. An engagement is a once-off, life-changing event; mark the occasion with a ring that reflects this. We can create high quality custom-designed rings that meet your unique expectations, whether you are looking for something modern or vintage in design. The history of the engagement ring is debatable, as there is evidence that supports the use of rings spanning various civilizations and time periods. From cavemen who tied braided grass around their partners’ wrists, to Egyptians buried circa 2800 BC with rings on the third finger of their left hand, there are many instances where apparent engagement rings have surfaced throughout history. The use of engagement rings increased from this point forward; today, engagement rings can take many forms, using diamonds, sapphires, opals or other gems with special meaning to the wearer. 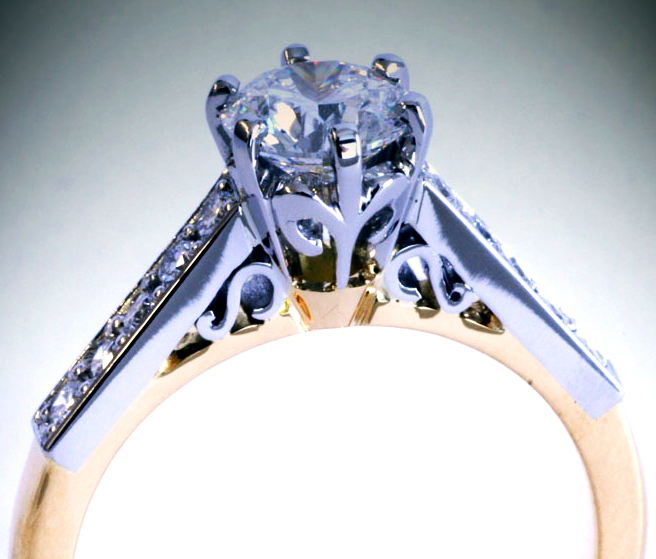 Increasingly couples like to create their own custom engagement ring with special significance just for them. Solitaire: Solitaire rings carry one single stone; elegant and simple, they are perhaps the most common style of ring in modern times. To ensure the stone captures the light and emits maximum brilliance, it is often set high above the ring itself. This classic design is ideal for those who appreciate stylish simplicity. Halo: Often intricate in design, a typical halo ring features a larger centre stone surrounded by a ‘halo’ of smaller stones. 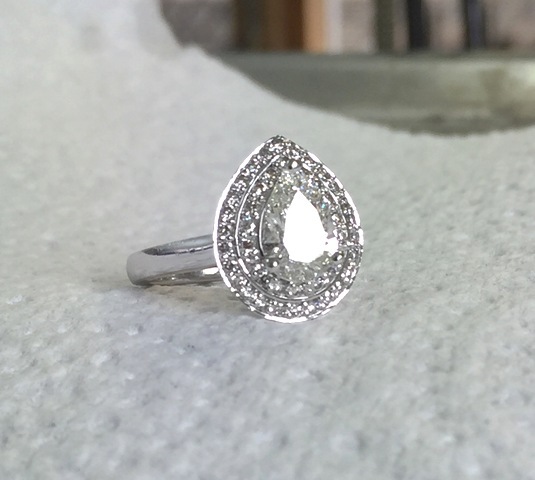 The halo increases the ring’s sparkle, provides a stylish boarder decoration to a main stone and can make the centre stone look larger. Trilogy: Trilogy rings generally incorporate three stones in a row; these stones symbolise a couple’s past, present and future together. 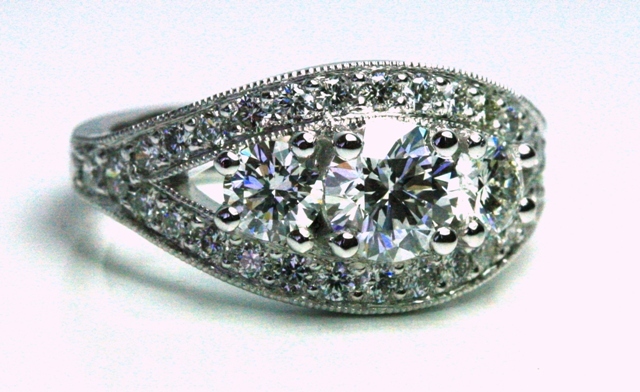 The centre stone is often larger with two smaller side stones to present optimal proportions. 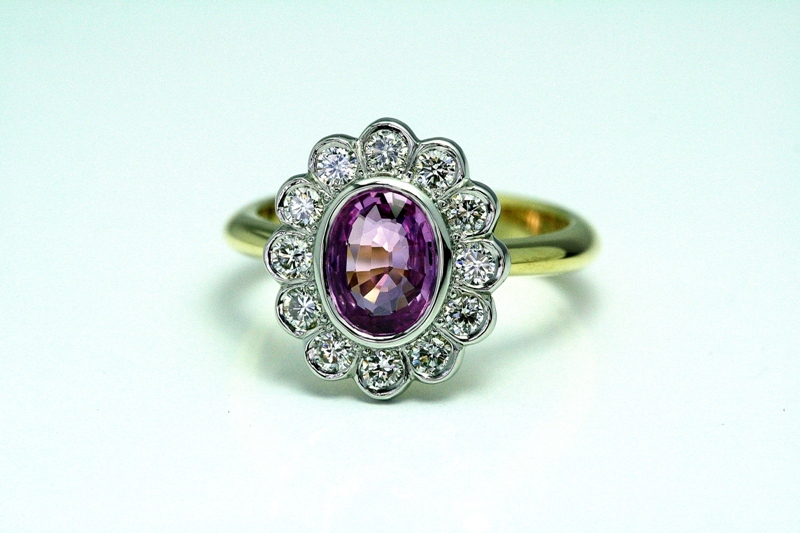 The centre stone can be set a little higher to give the ring depth and enhance its brilliance. Pave: Taking its name from the French word for ‘paved’, pave rings are essentially paved in the stone of choice. Covering much of the metal surface, this type of setting is suited to those who want to obtain maximum brilliance and sparkle. Are you in search of the perfect engagement ring? Do you want to work with a jeweller design your special ring that. There is no need to settle for a run of the mill design that doesn’t quite fulfil your vision; our custom design service will ensure you end up with your dream ring. 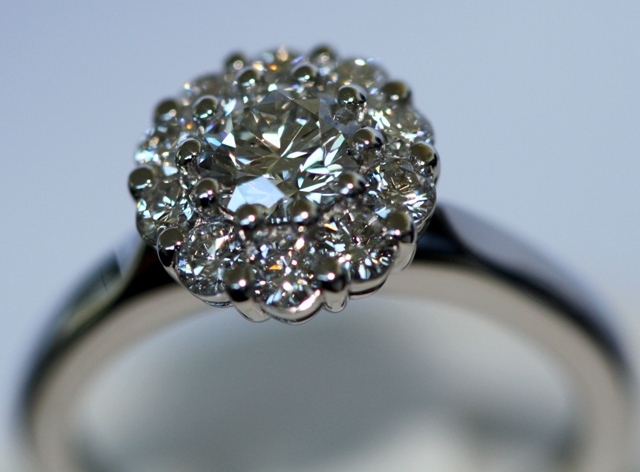 There’s no better place to order a custom engagement ring in Brisbane. You will be please to find that our stunning hand crafted rings are very affordable. To gain an idea of the type of rings we can create, please browse our online engagement ring gallery today. If you would like to discuss your vision for your ring and how we can bring it to life, give us a call, Chris on 0417 750 866 or Monica on 0466 648 599. Alternatively, fill out our online enquiry form and we’ll respond within 24 hours.